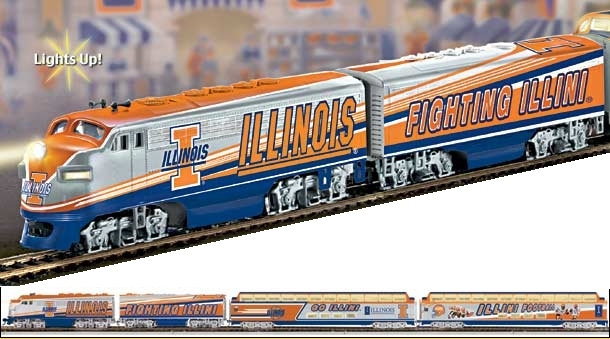 Apparently having a winning basketball team has some advantages for model railroaders like myself. There is now a "special edition" Illini train available in HO scale. Never mind that it's probably a really cheaply made model that will run poorly for about 50 hours of operation and then quit, It's kind of a cool idea. I think the railroad club ought to have one...or at least some engines painted like that.